Saturday, October 22 will be a busy day for a group of students who are planning a learning experience for campus. The idea to host an on-campus conference came to life after the student’s attended the 2015 White Privilege Conference (WPC), an annual gathering designed to educate participants about power, privilege and difference. 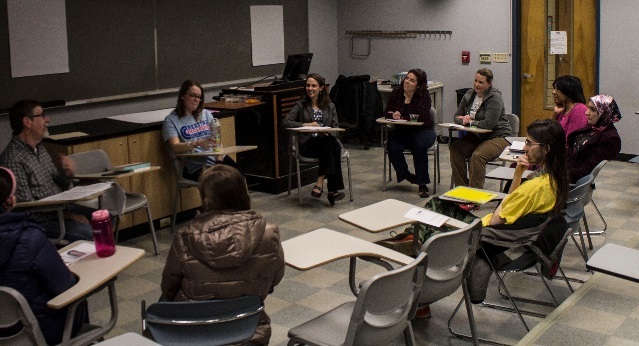 For the past few years, a group of UD students, faculty and staff have attended this conference with the Creating Inclusive Community (CIC) initiative and mini course offered in the spring semester. When the students returned from WPC, their peers were confused about the purpose of a “white privilege” conference. 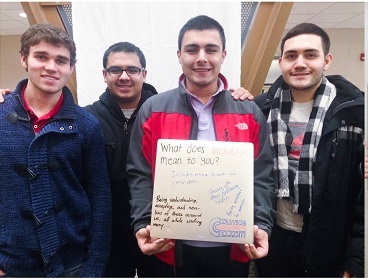 In an attempt to bring this valuable learning to campus, the CIC Conference was developed. Current students, Jesse Hughes, Kaleigh Jurcisek, Caroline Goodill and Gabrielle (Brie) Boltz are continuing this initiative for the 2016 academic year. 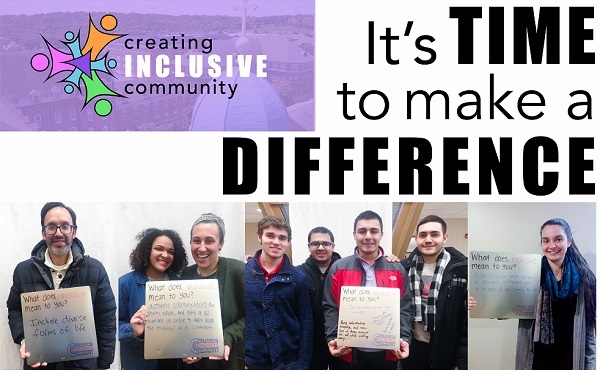 The second annual Creating Inclusive Community Conference is scheduled for Saturday, October 22, 2016 from 9:45am to 5:00pm and is opened to faculty, staff, students and community leaders. The theme, Crossroads, will provide a variety of workshops for learners at various levels on issues connected to social justice. The conference will offer 16 workshops split between a morning and afternoon session, lunch, and a keynote address by sociologist, historian and author, Dr. James Loewen. Topics for the workshops include, a panel on Islam and Social Justice, Race, Food and Trafficking, a session on gendered language, and more. The planning group encourages faculty to share the conference information with their students, and welcome interested attendees from all over. The conference is free, and no registration is required. For more information, contact udcicpresents@gmail.com. This event is PATH eligible. The Global Learning Living Community (GLLC) recently celebrated the start of the year with their annual fall retreat. Learn more about Global Education Seminar, a faculty development opportunity supporting internationalization.